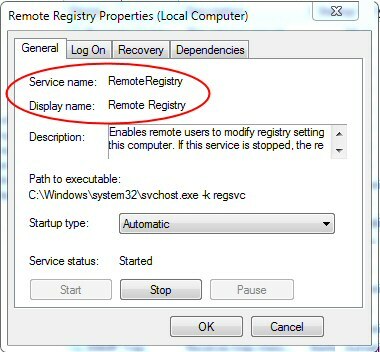 This page explains how to enable the Windows 7 Remote Registry service. The benefit is that using Regedit you can ‘Connect Network Registry’ and repair a stricken machine. If this service has not started, don’t worry, I have scripts which will start remote registry on any machine on your network (firewall permitting). When you launch regedit and try to ‘Connect Network Registry’, you get an error message saying ‘Object (Computer) cannot be found’. This is despite the fact that you can ping the machine. The situation is that Microsoft implement Remote Registry as a service, thus you control it just as you would enable the Spooler or SNMP service. Begin with the easiest method, which is to start the Remote Registry service manually. Incidentally, knowledge gained here will help you master the scripting methods to enable a remote registry connection. Click on the Start Button, in the Start Search dialog box, type: ‘Services’. Scroll down the list of services until you come to those beginning with ‘R’; right-click Remote Registry, and select Start from the short-cut menu. Alternatively, you can double click the service and check the settings, see screenshot below. The very first time you try ‘Remoting’ with PowerShell it’s difficult to get the two machines to see each other. Your best chance of success is to understand the sequence, then master each step before going onto the next. Note 1: You need remoting setup on both computers. Note 2: That unlike PSSession commands, this function only has one ‘S’ PSRemoting. If this PowerShell command does not work, then back to basics. Start with ping testMachine2 (or whatever your computer is called). Despite what experts say, I disable firewalls for the duration of troubleshooting, it just gives me peace of mind that a blocked port is not the problem. Next check permissions. Log on as someone with administrative permission on both machines. Still no joy? Then focus on the WinRM service, are you sure it’s functioning correctly? And you do have PowerShell v 2.0 or later – don’t you? # Check Status (and make sure you have the correct name). Save the file with a .vbs extension e.g. RemoteRegistry.vbs. Double click the script, then enter the names of the server. Wait for a confirmation message. ‘ NB Spelling of RemoteRegistry (No space). 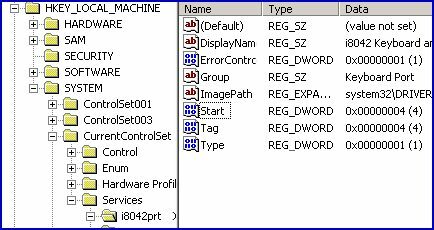 strService = " ‘RemoteRegistry’ "
Note 1: The name for this service has no space, moreover you need to enclose " ‘ RemoteRegistry ‘ " in both double and single quotes. Note 2: It may occur to you that you could amend the strService, and thus start other services such as, System Attendant on an Exchange server. Here is a scenario for remote registry editing. On a training course I had a Psycho user. He was nothing but trouble, arrived late, spilt coffee over his monitor and worse still, would not listen to instructions. As usual, I showed the delegates the AutoAdminLogon =1 setting. My purpose was to save them typing a difficult password, after each reboot required by the notes. The problem started when for some bizarre reason, Psycho decided to disable his keyboard and mouse. After Psycho rebooted his machine, AutoAdminLogon, by design, let his account logon without entering a username and password. His machine was useless; you could use neither the keyboard nor the mouse. The full horror became apparent when we tried to use Last Known Good to revert to the previous setting. AutoAdminLogon had overwritten the old control set. His machine was as they say, ‘stuffed’ – a condition I would have liked to extend to Psycho. 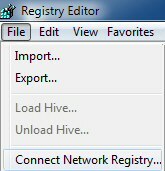 Well, you’ve probably guessed the happy outcome, I logged on as administrator at another machine, launched regedit, and then selected ‘Connect Remote Registry’. Once I opened Psycho’s registry I drilled down to the keyboard and mouse setting using this path: HKLM, System, CurrentControlSet Services, i8042prt. Then it was a trivial task to change a REG_DWORD called Start from 4 to 1. I don’t wish to spoil a good story, but I have to point out that the above rescue scenario was on a Windows Server 2003 machine. On Windows 7 the keyboard and mouse driver is configured differently, consequently it no longer supports the above registry settings. 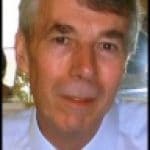 ‘No worries’, as my Australian cousin says, the remote registry principle is sound. No doubt Psycho will find a new way of breaking your machine, and it is quite likely that remote registry editing will be the only way to recover from his stupidity. In addition to its obvious registry function, there other services and utilities that rely on the Remote Registry service: DCDiag, NetDiag and Terminal Services Licensing. Summary of Enable Remote Registry Service.